What’s the connection between Croatia and Northern Ireland? No, it’s not that Game of Thrones is filmed in both locations, it’s that Automated Intelligence is expanding the team there! On April 30th, 2018, we officially welcomed three Croatian developers to the AI team. 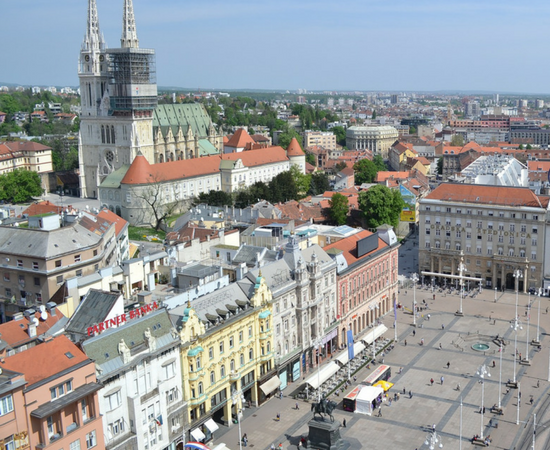 They’ll be based in Zagreb, the capital city, and working on new product development. This has all been achieved by partnering with Q Software who helped us find some really talented and motivated individuals that will enhance our team. This is an exciting time for the company as a whole, we are striding forward in an ambitious period of growth and expanding into Croatia was the perfect fit to help us continue to reach these goals. To many, Croatia may not seem too obvious choice for an expansion. However, the country is hotly tipped as the next big tech-hub in Europe. Though still a young industry in the country, the technology sector is thriving and is filled with young, innovative developers keen to make their mark. Our goal as a company is to continue building upon the strong foundation of innovative software design, so our Belfast based engineering team will be working closely with their new Croatian colleagues. To begin with, the new Croatian team will have the opportunity to visit Belfast to get stuck into company life here. Then, three of our software engineering team will go to Croatian to return the visit. We’re sure that this is just the beginning of the story for AI’s ever expanding team. First stop Croatia…next stop, the world!